CNG tanks and cylinders from Cenergy Solutions hold natural gas in an adsorbent at low pressures. Our vehicle cylinders and tanks are FMVSS certified and DOT-compliant. They are safer then high pressure tanks and are a lot less expensive to fill since they do not require expensive high pressure compressors. Cenergy Solutions also sells ASME approved ANG stationary and trailer cylinders that hold from 22 liters up to 100,000 liters. 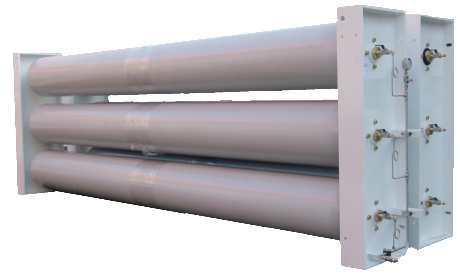 These stationary and trailer cylinders can be used to replace LPG tanks, store natural and biogas accommodate virtual pipelines or capture methane at wellheads and biogas digesters. The stationary tanks can also be used as buffer storage for natural gas transmission lines or biogas digesters. Custom ANG tanks and trailers can be made to the customer’s specs. For ASME storage Cenergy Solutions has cost effective solutions to meet your compressed natural gas storage, cascade and delivery needs. These ASME and DOT-compliant CNG tanks are designed and approved for CNG fueling stations and transporting CNG for mobile services. 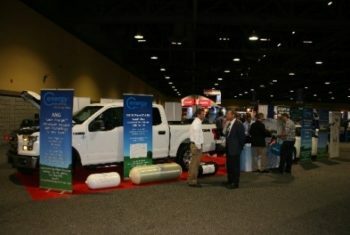 We have natural gas tanks in varying capacities to provide flexible CNG fueling design options. We offer natural gas tanks suitable for permanent fixed fueling storage, mounting on LCVs or transportation to CNG dispensing sites. 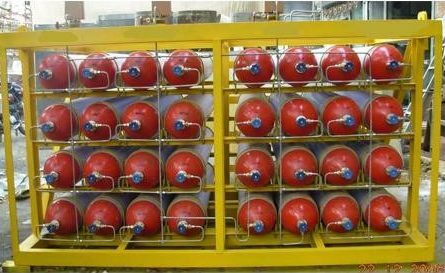 Cenergy Solutions offers ASME storage options at service pressures of 5,000 psig (345 Bar) in a 2,850 liter three tank configuration. We also have 3,600 psig (248 Bar) in a 3,900 liter in the three tank array. Our DOT Type 1 tanks are rated to a service pressure of 4,350 psig (300 Bar) and 3,600 psig are available in prefabricated modules or as standalone tanks. We can help solve your CNG storage or refueling needs in locations where you don’t have access to natural gas. 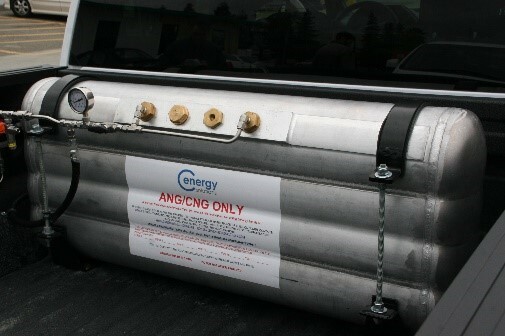 All Cenergy Solutions’ CNG tanks are available individually or mounted in cascades with valves, fittings and tubing. Cenergy Solutions has cascades for natural or biogas storage. These cascades come with DOT compliant cylinders that have a working pressure up to 300 bar or 4,300 psi. The cascades are pre-plumbed with valves and equipment that is standard or custom manufactured to the clients specifications. We can manufacture to the storage specifications needed for your application. The cascades fit into shipping containers and are available now. Cascade weight + Empty Cylinders Weight. In Kg. 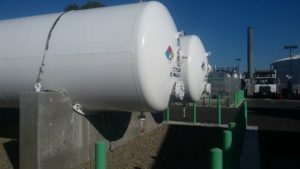 Contact us today for more information about our ASME and DOT tanks for CNG storage, transportation and cascade systems.